Roman gold traditional bevelled mirror with a ribbed effect frame and a round motif in each corner. Overall size 95X70cm. 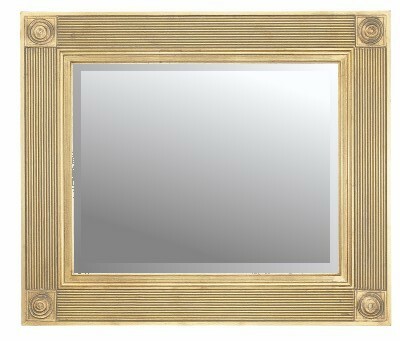 Roman traditional bevelled gold framed mirror with a ribbed effect frame and a round motif in each corner. Overall size 95X70cm.